Dog agility is the most popular dog sport in the United States. It's a timed event where dogs run, jump, climb, and weave through a variety of obstacles in a set order. Each course is different, so the challenges never end! We are thrilled to announce that starting in January 2019, we will have a full agility program for all levels of dogs & handlers taught by Katherine Ostiguy. Whether you're brand new to the sport or have competed for years, we have a class for you! A valid Flex Class Pass is required to register for all agility classes. We have five different agility classes depending on your experience level. View our class calendar online to see when each class is offered. Be sure to select the "Swan Street" calendar to see agility classes. 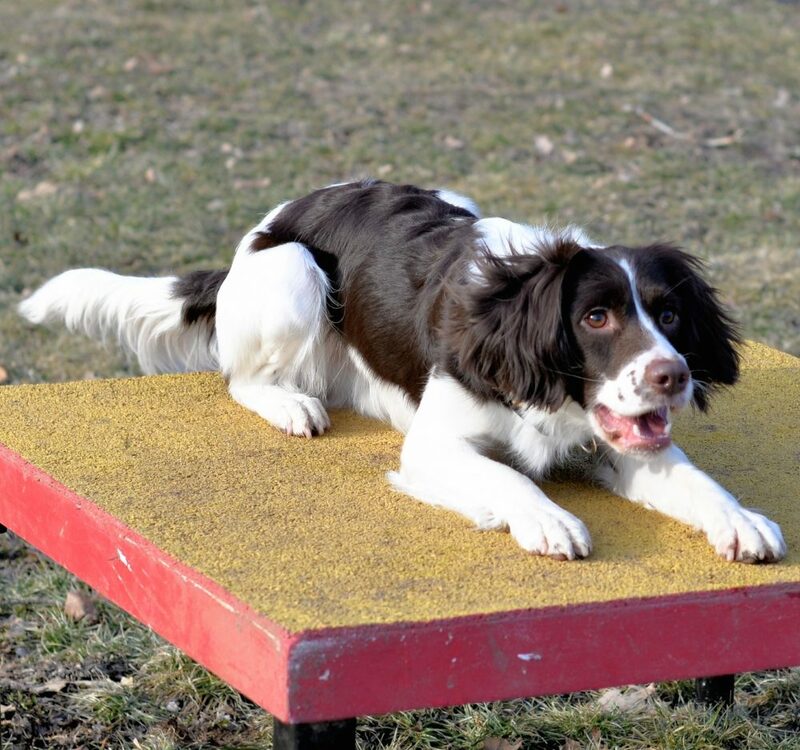 Training for agility provides both physical exercise and mental stimulation. Dogs are tired and content after participating in class. This sport exposes dogs to a variety of different objects, which is a great socialization opportunity for puppies! It's a great way to build confidence in shy and reserved dogs. Your dog will learn to explore new environments and take on new challenges. Agility enhances the bond between dogs & their owners. You'll get to know your dog on a different level! If your dog has never done agility before, you can take our Intro to Agility class after attending Orientation and at least two manners Flex Classes. Our agility program is fast-paced, and it's imperative that you are familiar with our training techniques & class policies, and that your dog is capable of focusing on you around other dogs in close proximity. 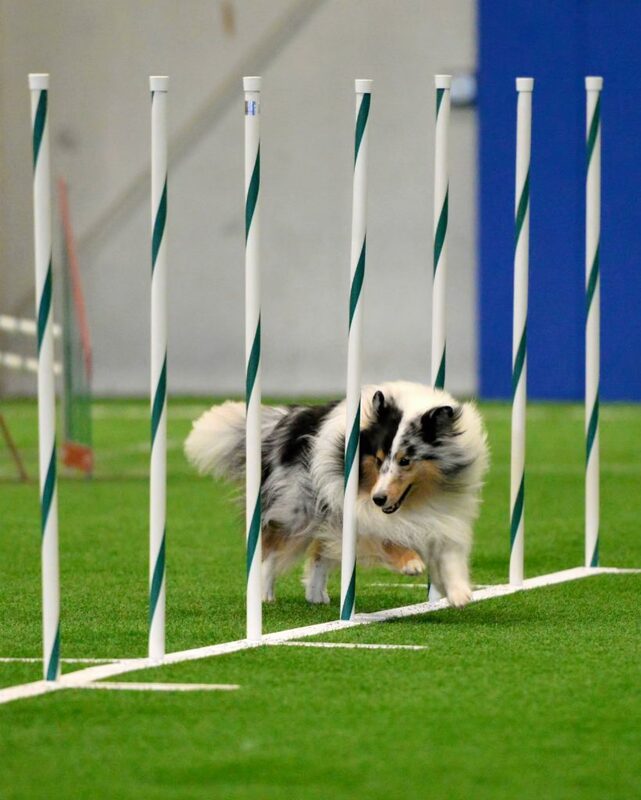 After you have taken Intro to Agility, you may repeat that class as much as you'd like, or move on to Performance Fundamentals if you decide you'd like to pursue the sport. Students take Performance Fundamentals a minimum of 6 times before moving on to more advanced classes. Experienced handler with a new dog? You can jump right into Performance Fundamentals. You'll take this class a minimum of 6 times before moving on to more advanced classes. Ready to learn the equipment? If your dog is focused on you in a busy class environment, eats treats without hesitation, plays (either with toys or with personal play), confidently interacts with novel objects, has a solid warm-up routine, and is over the age of 9 months, you're ready to start attending Agility Skill Building classes. We have TWO separate SB classes: one for Contacts & Tables and one for Jumps & Weaves. New dogs should attend BOTH classes. We separate them so dogs who are struggling with a certain piece of equipment can attend classes specific to that obstacle. Ready to start running courses? If your dog confidently and correctly performs all pieces of equipment, you're ready to move on to Agility Competition Prep. In this class, we run Masters-level agility courses. Less-experienced teams are given shorter sequences within those courses. If you're experiencing any obstacle performance issues, take the Agility Skill Building class that meets your needs (Contacts & Tables or Jumps & Weaves). 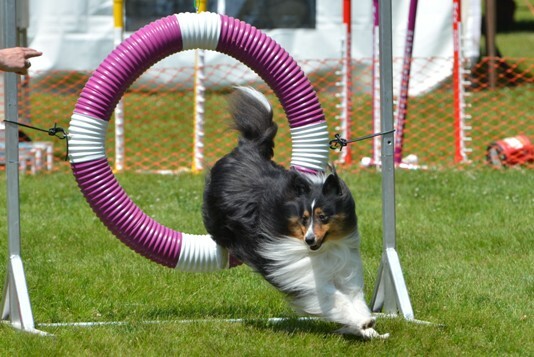 If your dog is performing all of the obstacles fluently, join Agility Competition Prep. You are more than welcome to take both classes! Still not sure which class is right for you? Contact Katherine for assistance. Please be sure to read the Flex Class FAQ, too. It answers questions about expiration dates, rescheduling, vaccinations, etc. Can I attend class with more than one dog? Yes, in all classes except Intro to Agility. Be sure to register for class twice - once for each dog. Are agility classes safe for puppies? Our agility program is safe for puppies. Puppies under 9 months of age are eligible for & encouraged to attend Intro to Agility and Performance Fundamentals. These classes are a great addition to any puppy's socialization and training plan. Obstacles are kept very low and training sessions are kept short. Puppies over 9 months of age who have attended Performance Fundamentals at least 6 times may move on to our two Agility Skill Building classes. The challenges in those classes will be simplified for growing puppies. We DO NOT allow puppies to do full-height agility equipment or run long sequences. We firmly believe "less is more" when it comes to puppy training. We have over 15 years experience in the sport and have seen too many injuries in young dogs from overtraining. After you have purchased a Flex Pass, select one of the following classes.